This month’s stars may bring high-pressure changes as we all prepare to up-level from within. What new level of your evolution are you ready to step into? As the Sun cascades through the emotional and comfort-seeking sign of Cancer for most of this month, we are tuning deeply into the ideas behind what we need to feel safe, secure, and happy with our surroundings now and into the future. The Full Moon in Capricorn, coming exact late on July 8th & July 9th (depending on where you live in the world) falls in the opposite sign from Cancer. Traditionally, Cancer represents the homey & nurturing mother energy of the zodiac and Capricorn represents the driven, success-oriented father energy that fuels us to go out and make a difference in the world. Both signs have a lot to do with survival, security & stability and you may be working very heavily on expanding the foundations that support you in your life & career. As the month wears on, we will eventually switch into Leo season when the Sun leaves Cancer on July 22nd. With our stable foundation now in better condition, we will be feeling more able to step up and spread our bright light further than ever before. Get ready for a crazy ride this month – but one that will be well worth the changes & adjustments needed to see your grand vision through! >> Want to get your Monthly Career Scope sent straight to your inbox? Sign up here! This is a time of grounding into your goals and deciding on the kind of difference you really want to make in the world. For the last few weeks, you have been reconsidering your idea of a perfect home, family & long-term financial situation as the Sun has been moving through the comfort-oriented sign of Cancer. With the Full Moon landing in Capricorn and your Career Zone, in order to feel more comfortable, you will first need to release any limiting beliefs or fears that have been keeping you from stepping up to a higher level in your career. Pinpointing your fears inside your mind will help you become even more prepared to break off your emotional connection with them so you can charge directly at your deepest worries to conquer them at full force! So, try to use the beginning of this month to LET GO of your mind muck and get prepared to embrace the lightness of being that will result from all of the open brain space. Once the Sun moves into Leo later in the month, you will be moving into a brighter period of life that will be much more about expressing a deeper sense of creativity out into the world and learning how to present your ideas with more passion. << Back to Top // Book a customized astrology reading or report to unlock your cosmic calling! Lately, you may have been wondering who you really need to be talking to in order to reach your next goal. As the Sun saunters through your 3rd house, this time is fabulous for networking and marketing yourself in new & unique ways while bringing new people into the picture who can help you get where you want to go even faster. Once the Full Moon hits Capricorn and your zone of world discovery, it will be time for you to give up any limitations that have been keeping you from expanding your horizons when it comes to the way you view your life & career, too. If there’s still a pesky mindset that has been keeping you stuck, you’ll finally be ready to release it and move on to more exciting pastures & projects that may have previously seemed out of reach. As the Sun eventually moves into Leo later in the month, you may find yourself wanting to get a bit more grounded in your home life or even start spending more time with your family and the people you love to be around most. July 22nd will be your cue to leave some of the craziness of Cancer Season behind and get more comfortable by focusing on securing your finances and cushioning your personal nest. << Back to Top // Book a customized astrology reading or report to unlock your cosmic calling! Be honest. What do you really want underneath it all? As the Sun continues gliding through your Values Sector, your wish list for life may be due for an upgrade. If you can get clear on what really lights your fire, all that will be left to do is ask for it… and let me tell you, this abundant Universe loves to deliver to those who are clear about their intentions! As the Full Moon falls in Capricorn and your zone of Business, your deeper desires may be put to the test as you release any fears around being unable to make them manifest in the real world. You have come so far in working to secure your financial options already this year, but there will always be a new level to conquer. Be prepared to clear out any harmful residue or thought patterns that may have been clouding your vision thus far. Once the Sun begins its next pit stop into Leo near the end of the month, you will hopefully have gotten much clearer on what you hope to bring into your life next so you can actually get out into the world and use the right words to ask for it. This will begin a new phase of networking where you can begin seeking out just the right people who can help you achieve all of the amazing things that will lead you to your idea of success. << Back to Top // Book a customized astrology reading or report to unlock your cosmic calling! This is your season to shine, Cancer! If it doesn’t feel that way, it’s probably because you are still knee deep in sorting through your ideas on what kind of person you truly want to be. As we continue gliding through your birthday month (or re-birthday month, as I like to call it, especially if Cancer is your Rising Sign), you are discovering new ways of expressing your identity out in the world. It’s a very exciting time indeed! However, it may not necessarily be all that easy, either. With the Full Moon falling in your opposite sign of Capricorn, you may be feeling pulled in two directions and forced to face some relationship issues that may have been keeping you from shimmering as your Highest Self. This will be the time to release these issues that have been weighing heavily on your mind so you can move further into your own personal spotlight. Once the Sun finishes up in your home sign, it will be flowing into Leo next, highlighting your values & desires and putting them to the test. This will bring in a new phase of weighing what is really most important to you and deciding what you feel you deserve to bring into your life next. As the month comes to an end, be prepared to dream big & ask for what you really want! << Back to Top // Book a customized astrology reading or report to unlock your cosmic calling! This month is all about diving deep! As the Sun trudges through your 12th house of Spirituality & Mystical Pursuits, you may be questioning the greater purpose of everything that you have been working towards over this past year. With your birthday month coming up, you may still have some unfinished goals you wish to attend to or loose ends to tie up before you can truly get yourself into the celebratory mood. As the Full Moon lands in your Daily Support sector, you’ll be called to take care of the systems you currently have in place to you support you, like a steady career path that pays the bills, a diet that makes you feel good, or a practical routine that gives you the upper edge in your daily life. Since Full Moons are all about releasing the old, be prepared to come face to face with any flaws in your daily agenda so you can fix them and move on. Once the Sun temporarily begins to call your sign home toward the end of July, you’ll be ready to leave the deeper questions behind and make your mark on the world in a whole new way. What is something you are so good at that others simply can’t ignore? Harness this information so you can start to step up and shine in your own special spotlight like only a Leo can. << Back to Top // Book a customized astrology reading or report to unlock your cosmic calling! We all get by with a little help from our friends! This month, the Sun continues its foray through your Community Sector, shining a spotlight on the ways you can give back to those around you as you try to figure out how you can cultivate a greater sense of friendship with those who surround you. If you run your own business, be prepared to share your goods and grow your online following to a whole new level. Once the Full Moon lands in your Creativity Corner, you may reach the culmination of a creative project you have been working on for some time. If success still feels out of reach, you may instead need to let go of anything in your life that has been sucking the fun out of your creative fires so you can rise up and make room in your life to create something new. As the Sun finishes its journey through Cancer and enters Leo toward the end of July, your focus may begin to shift into the deeper, darker waters of your subconscious. This will herald a time of questioning what you really want to be doing with your precious time on this planet, so be prepared to give yourself the time and space to really explore what’s on your mind. << Back to Top // Book a customized astrology reading or report to unlock your cosmic calling! Get ready to step it up! As the sun glides through Cancer and your Career Zone for most of this month, you may have been considering a job change or maybe the start of an expansive new project that is close to your heart. This is a wonderful time to explore how you really want to become known by the world – what is the mark you wish to leave? With a high-pressure Full Moon landing in Capricorn and your 4th house of Home, Family & Long-term Security, money issues may have weighed heavily on your mind, or even an issue with your home life. The idea here is to release any limiting beliefs that have been holding you back from going even further in building your life-long legacy for the future – the type of work that really matters the most to you. Once the Sun crosses into Leo towards the end of the month, you will have much more clarity about what it is you are off to do next, and ready to find a tribe to nurture with your gifts & talents. 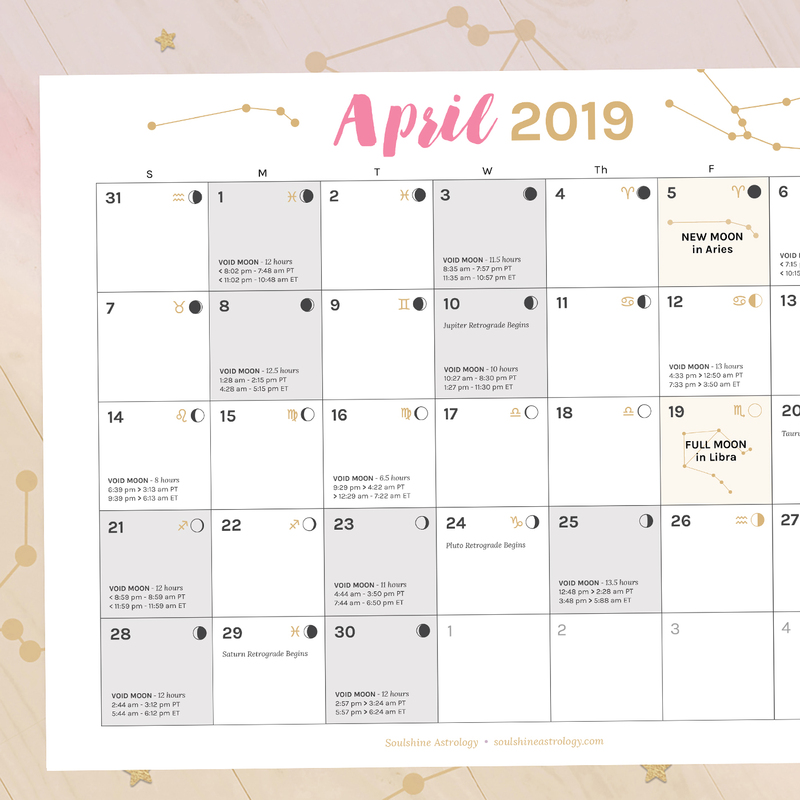 Whether you are simply helping your friends, or calling in a whole new community of online followers, the work you do this month may prove to be quite pivotal for both your life + career. << Back to Top // Book a customized astrology reading or report to unlock your cosmic calling! What else is there for you in this crazy world? For most of this month, the Sun will be zooming through the area of your life pertaining to Higher Education & Spirituality, allowing you to get a wider view of the world you live in. You may be feeling restless to learn something new or bring new ideas into being in your career that can expand your horizons or give you a much-needed change of scenery. However, our pivotal Full Moon in Capricorn may bring forth a breakthrough. Perhaps it is not your nearest surroundings that are in need of a change, but the idea that you aren’t just limited to the resources that are currently available. This is a time to release any beliefs that are keeping you tied down to the life, career, or social circle you’re already in, so you can feel free to explore more of what lights you up from inside. With the Sun soon to be moving into the next sign of Leo, the new things you learn this month may provide some excellent inspiration to bring into your career. Whether you have read a new book, traveled somewhere new, or just flexed your muscles in a new area of life, the insights that you have been developing may be just the thing you need to find more fulfillment in the bigger picture work you are really here to do. << Back to Top // Book a customized astrology reading or report to unlock your cosmic calling! This month is all about getting down to business! With the Sun in Cancer and your 8th house, it’s a fabulous time for organizing your finances and becoming more secure about your day-to-day business moves. Perhaps your bookkeeping process is in need of a refresh, or there are some systems you are really needing to put into place to help you feel like you’re more on track. Once the Full Moon makes its annual appearance in Capricorn and your zone of Love & Money, you may find that it’s time for you to let go of any deep-seeded desires you used to have that are no longer relevant to your current mission. This could even mean releasing the idea that you are not worthy of having what you truly want, so meditate on abundance and don’t be surprised if the thing you have been wanting starts popping up as soon as you’ve let go of the idea that you can’t have it. With the Sun cruising into Leo at the end of the month, your sights will soon turn towards new knowledge and ideas that can bring even more magic to your life + career. Be prepared to widen your horizons by taking a class, picking up a stack of books from the library, or planning your next big adventure. << Back to Top // Book a customized astrology reading or report to unlock your cosmic calling! Get ready for a wild ride! The Sun begins its journey in your opposite sign of Cancer, not always such a comfortable place for you to be. This area has a lot to do with re-organizing your close romantic or business relationships and re-thinking how you relate to others in your world in general. Perhaps there are some deep conversations that need to be had to keep your current partner on board, or you may be ready to start something exciting with someone new. With the Full Moon landing right in your sign, however, the high-pressure issues we all will be dealing with may feel especially close to home. This is a major time of releasing any negative notions that have been holding you back from stepping into the limelight as your tried & true self. There is something special about you that you haven’t been letting out – this is the time to remove any obstacles so you can break yourself out of your self-contained bubble! As the Sun moves on to its next sign of Leo on the 22nd, the pressure may fade a bit. You will be feeling more ready to get organized and secure in your daily finances – which is an area that should feel quite good for you to tackle – as you become even more clear about all of the channels through which you make your money and how you handle it once it comes through the door. << Back to Top // Book a customized astrology reading or report to unlock your cosmic calling! Are you being good to yourself, Aquarius? With the Sun cascading through your zone of Daily Support, your routines may be in for a makeover – like a diet upgrade, a job change, or just a heavy dose of re-organization. This is a time to become more efficient in the way you go about your work and how you arrange your life to practically support all of the things you most want to do. 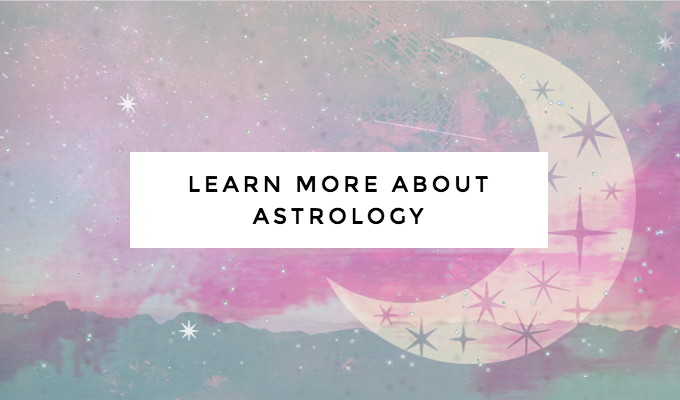 With the Full Moon landing in Capricorn and the area of life that has to do with uncovering deeper insights, you may be in for a download of higher knowledge that can help reveal the type of impact you truly want to be making on the world. But first, you will need to remove any beliefs that have kept you from pursuing this in the past. Why not you, and why not now? Be prepared to answer honestly and then step over any mental hurdles that arise. As the Sun saunters into its next sign of Leo, the focus will be shifting on to your close relationships with others. Your partner may be needing more attention than usual or perhaps you are ready to find a partner to begin with! Whether it’s in romance or business, I think you’ll find that having the right people on your side can help you go so much further. << Back to Top // Book a customized astrology reading or report to unlock your cosmic calling! Lights, camera, action! This is a beautiful month for you to step up and shine. With the Sun in Cancer in your zone of Creativity, Fun & Fame, you may experience a greater sense of recognition for your talents or decide to develop more drive to make some exciting creative magic happen in your world. Others will be watching, so make sure that you are doing what you absolutely love, so that the opportunities that arise will be right in line with the things that really light you up as you are fully guided by your preferred source of creative fuel. As the Full Moon lands in Capricorn, community issues will come to the forefront. What kind of people do you want to have in your tribe? Be prepared to release any beliefs that have kept you from reaching out to others and sharing your gifts to help the world. The right people will want exactly what you have to offer, so let go of your perceived limitations so you can step it up and be seen! Once the Sun turns the page to dive into a new chapter in the sign of Leo, you will have some time to re-imagine your daily routine and get yourself on track with a more efficient and supportive way of life. This will be just the thing you need to raise your spirits and shine on a more consistent level that can leave you feeling fired up instead of burnt out! 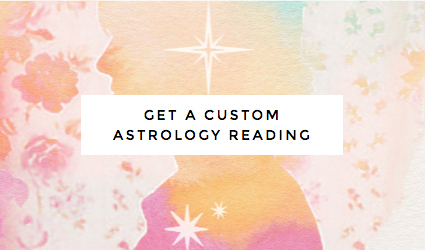 << Back to Top // Book a customized astrology reading or report to unlock your cosmic calling!